BioPRYN® is a pregnancy detection tool for use in ruminant animals. 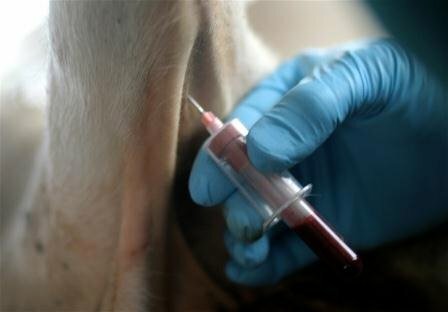 It measures the presence of Pregnancy-Specific Protein B (PSPB) in the blood circulation of the animal. The PSPB is a protein that is only produced by the placenta of the growing fetus. Cows and heifers must be 28 days post-breeding and cows - 90 days post-calving. There is a chance for a false positive if the residual PSPB has not cleared the maternal system from cows that have calved more recently than 90 days ago. The Benefits: Why should dairy producers use BioPRYN? For recipients of an embryo transplant, we recommend collecting blood at 32 days of embryo age rather than 28 days.